High rate inflation is one of the major concerns for the economics of every country and Pakistan is already facing a critical economic meltdown. There has been a gradual increase in the prices of several commodities including the petroleum products. The petrol prices in Pakistan always tend to increase at regular intervals since past many years. The history of high-octane petrol prices in the country is volatile and has fluctuated over time, which makes the wheel of the Pakistani traffic coming to a halt. These increasing prices of petrol, has put a very bad impact on the economy of the country. Unstable prices of petroleum products have a direct impact on almost every other commodity, because the traders and businesspersons have to increase or decrease the ratio of their profits thus causing a direct impact on the manufacturing costs and logistics that transport them to the consumer. The already economically downtrodden community is suffering heavily due to these flickering petrol prices and other similar commodities because of low income ratios and increasing minimal living costs. Because a big chunk of Pakistani population moves within the city and between cities for their livelihood, the high prices of petrol directly puts a negative impact on their pockets. Where the government used to give subsidies on petroleum products to facilitate the public pockets, the government has shown a complete indifference from the worsening condition of masses. 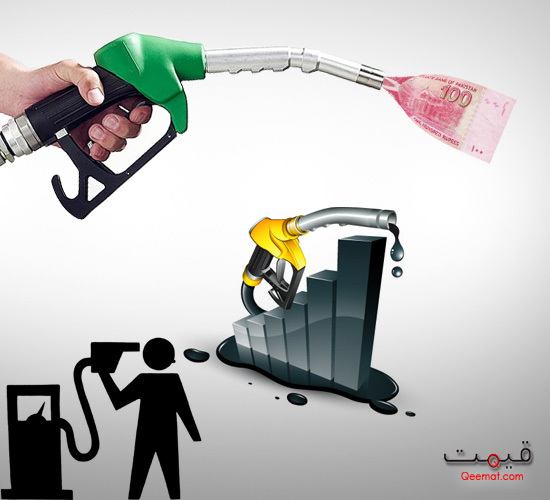 This page has been dedicated to the latest prices of petrol in Pakistan letting you know the latest trends in petrol prices. V.v.v.Vry nice web for cheack price of all item. Please update all item price which is now to be launched must be listed.